PostXbox Game Pass - Xbox Game Pass Ultimate (Gold + Game Pass for £10.99). Monster Hunter: World/Walking Dead:NF out now. - Launched 1st of June 2017 on XB1. Coming to PC officially at some point. - £7.99 per month but plenty of deals available regularly. With WWE 2K17’s addition to Xbox Game Pass on February 1, members can dive into a new round of more than 130 WWE Superstars, Legends and Hall of Famers, classic matches, fan-favorite creation options, and even more available via DLC, your favorite WWE-centric content is almost certain to be found in WWE 2K17. Have you dreamed of entering the ring? If so, WWE 2K17’s MyCareer mode will help you launch your own path to digital stardom. You can also create your own WWE rivalries, interviews, and pay-per-view events in WWE Universe mode. 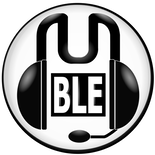 And, of course, there is online multiplayer available if you want to test your skills and compete with other gamers over Xbox Live. WWE 2K17 even lets you take the action outside the ring, in the crowd, and into backstage areas! There’s so much to do in WWE 2K17, you may lose track of time! Just don’t lose track of your opponent or you might be introduced to a steel chair! December brings a big list of holiday gifts for Xbox Game Pass members, and the first out of the box is Gears of War 4, the latest installment in the critically-acclaimed third person shooter franchise from The Coalition. Jump into campaign solo or co-op and take on the role of J.D. Fenix, son to Marcus Fenix and Anya Stroud, as you and your band of Outsiders confront the Coalition of Ordered Governments, battle the impending Swarm, and unravel the mystery of Marcus Fenix’ last 25 years. And that’s just in the single player campaign – there is more excitement to be found in multiplayer or Horde mode. As an added bonus, The Coalition is kicking of December with a double XP incentive. Also headlining December is Darksiders: Warmastered Edition, THQ Nordic’s third person action adventure journey based on the lore of the Four Horsemen of the Apocalypse. You play the horseman War, and you are tasked with venturing out from The Scalding Gallow to explore and discover new lands, weapons, enemies, and abilities. The Endwar has begun on Earth, inciting a great battle between angels, demons and man. Only War can break the Seventh Seal and finally restore order to the realm. Friends and family unite this December to solve the thrilling mystery of Sherlock Holmes: The Devil’s Daughter, brought to you by BigBen Interactive. The legendary detective is back with five cases to investigate, as well as a host of additional personal, professional, and moral hurdles to overcome along the way. Use your detective powers to collect all the evidence and solve each puzzle as you bring peace and security back to the streets of London. Xbox Game Pass gets another diamond in the rough this month with This War of Mine: The Little Ones, a civilian-based perspective on the Bosnian War, developed by 11-bit studios and published by Deep Silver. This War of Mine is equal parts strategy and survival, requiring you to take on the role of a bystander to war and scavenge for resources, ration supplies, and try (oft unsuccessfully) to avoid the perils of war. This War of Mine is a demanding game covering a very sobering topic, and one you are not likely to forget anytime soon. We are beyond excited to bring Mass Effect to Xbox Game Pass on December 1! One of the greatest single-player action RPGs of all-time, Mass Effect is a true classic that has aged extremely well. In Mass Effect, we follow the story of Commander Shepard, a 22nd century soldier assuming the tiny little mission of… saving the entire universe from a super race of ill-intentioned, mighty mechs. Choose from six different classes and up-level your character as you seek out and complete combat missions, resource gathering expeditions, and other side quests. Winner of multiple awards, Mass Effect is an incredible experience that we highly recommend you make time to check out in your journeys through the Xbox Game Pass catalog! Ninja Gaiden Black to the Xbox Game Pass catalog, for members to enjoy for free as part of their membership, and is available to play right now – go check it out. November signals a return to the Halo universe with Halo Wars: Definitive Edition. Halo Wars is an incredibly exciting top-down real-time strategy experience, which requires you to master everything from tactical troop deployments to base building to resource management. Play though the Campaign as you lead the UNSC’s Spirit of Fire against the Covenant forces in this epic adventure. At 1080p, 60fps, and paired with a dynamic soundtrack, now’s the best time to experience this RTS classic. There’s no better time to bring Resident Evil HD to Xbox Game Pass than during Halloween. As a franchise, Resident Evil is a cornerstone of today’s thriving survival-horror genre within gaming. Dark, ominous, and sure to elicit an involuntary response or two, Resident Evil HD takes you back to 1998, where you take on the role of either Chris Redfield or Jill Valentine, members of the STARS special forces team sent to investigate a series of very unusual murders. Cornered and sheltered inside a seriously spooky old mansion, you’ll find that your health is precious, and your ammo even more so. Can you survive the dangers of the night and uncover the evil intentions of the Umbrella corporation? The hits keep coming in November with Oddworld: New ‘n’ Tasty, an iconic 2D platformer that deftly strikes a perfect balance between Oddworld nostalgia and next-gen polish. In New ‘n’ Tasty, you control the lovable Mudokon, Abe, who is thrust into the position of hero-to-be once he realizes the meat processing plant where he works is about to get into the Mudokon-processing business. Not keen to become meat snacks, Abe sets out on a quest to escape the guards, Sligs, Scrabs, and other creepy creatures inhabiting the meat factory. Help Abe sneak his way to survival! For the action RPG and tower defense fans out there, our friends at Neocore have a treat for you: World of Van Helsing: Deathtrap. Jump back into the gothic realm of Incredible Adventures and protect the Silent Forts from the hordes of monsters seeking to destroy Borgovia. Build, protect, and defend solo or cooperatively, and even battle online against your friends and fellow Xbox Game Pass members. We love this Indie gem and we hope you do too! More Mega Man, they said. More Mega Man, we bring. Our blue buddy returns to Xbox Game Pass with more to explore in Mega Man 9. For the uninitiated, Mega Man is a legendary 2D platforming shooter delivering hours of fun battling a wide array of bosses, from Hornet Man to Splash Woman and many more in between. ReCore DE is coming – and it’s coming right to Xbox Game Pass! ReCore is an ambitious action/adventure title that puts you in the shoes of Joule, accompanied by her three incredible corebot companions, as you traverse the dystopian world of Far Eden. Battle a wide array of enemies, complete side quests, and solve challenging puzzles in this innovative 3D platforming experience. The post-apocalyptic fun continues in September with Metro: Last Light Redux, an absolute FPS gem from our friends at Deep Silver. Last Light lands you in Moscow in the year 2034, where you play as the character Artyom, navigating the Moscow metro tunnels and combating a hearty mix of human and mutant adversaries. Blending in strong survival and strategy elements, Metro is a compelling sequel to the FPS classic Metro 2033 and an experience Xbox Game Pass members will not want to miss. Also coming to Xbox Game Pass in September is the legendary action RPG, Fable II, published by our very own Microsoft Studios. You play as Sparrow, a young child (you can choose male or female) on a journey to gain vengeance against the evil Lucien. Combat enemies, complete side missions, and find allies on your way to becoming a true hero. With both single player and co-op modes, September is a great time to explore the magical open world of Albion. Xbox Game Pass’ stable of awesome fighting games gets a boost in September with the NEOGEO classic, Garou: Mark of the Wolves. Fight with one of 12 characters in Arcade mode, defeat both bosses, and become the King of Fighters. Or, find a friend and battle it out for couch co-op supremacy. If you’re a fan of Fatal Fury, or just classic fighting games in general, you are going to love getting your rounds in with Garou. Requiring skill, speed, and precision, 10 Second Ninja X delivers a heck of a lot of fun and plenty of challenge to Xbox Game Pass members. The premise is simple – you have 10 seconds, a sword, and three shurikens to complete each of the 100 levels in this awesome platformer from our friends at Curve Digital. Explore the different paths to accomplishing each level’s objectives, unlock costumes, gather achievements and find all nine collectible items as you work your way from Level 1 to Level 100. You only get 10 seconds per level, but we won’t be surprised if you lose whole days chasing victory in 10 Second Ninja this month. Curve Digital is also giving Xbox Game Pass members access to Hue this September, another terrific Indie puzzle-platformer from our ID@Xbox program. Hue is both the game title and the name of your main character, who is on a mission to bring color to an otherwise monochrome world and solve the mystery of Hue’s lost mother. Read letters from Hue’s mother, learn to control the colors you progressively unlock, and leverage those colors to solve challenging puzzles. With a unique and engaging art style, Hue is a must-play in Xbox Game Pass. As if your brain wasn’t getting enough of a workout, the brilliant minds at The Astrophysicists Guild bring you The Bridge. A 2D puzzler, The Bridge is tons of fun and very engaging. And while the puzzles will keep you thinking, it may be the black-and-white art design we love most about this game. The Bridge feels like an artist’s sketchbook, with each puzzle occupying a single screen, which allows you to closely analyze each level and decipher the best path to completion. Just don’t be tricked into thinking logic alone will help you succeed in The Bridge – without a fair amount of finesse, and meticulous execution, you may find you need multiple attempts to solve each puzzle and complete the game. Launch Library - See above for additional games that have since arrived on Game Pass. Love an Xbox One game and want to own it? Interested in an add-on or Season Pass for a title you’re playing in the Xbox Game Pass catalog? Save 20% on Xbox One game purchases and 10% on all related add-ons, but only while the base game is currently in the catalog. As an Xbox Live Gold member, you’ll have exclusive access to Xbox Game Pass before anyone else and be among the first to play over one hundred great games. Please check back as we’ll be updating details and availability. Xbox Game Pass will only be available on Xbox One. What is Xbox Game Pass and how does it work? At Xbox, we believe in offering new ways to give you the best value to play a collection of the greatest games. For one low monthly price, Xbox Game Pass gives you unlimited access to over 100 great games – including popular backward compatible Xbox 360 and blockbuster Xbox One titles. Xbox Game Pass will add games to (and sometimes remove games from) its catalog every month, which means you can always find something new and exciting to play. Download and experience games in their full fidelity from top industry publishers and play offline for up to 30 days. 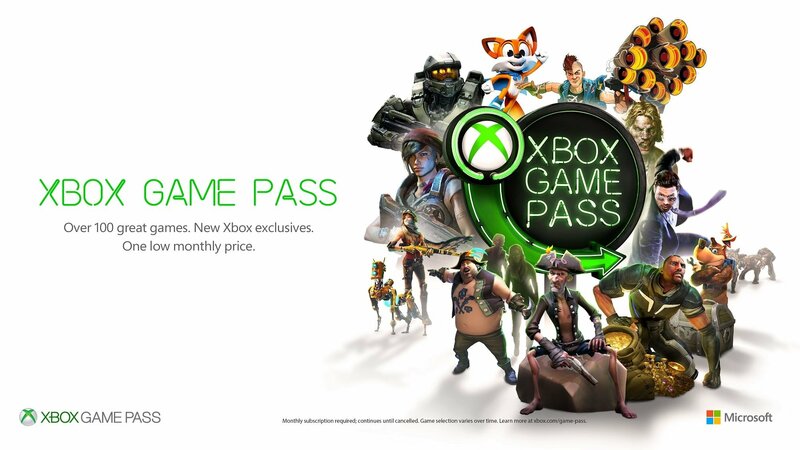 Xbox Game Pass is truly your ticket to endless play. Do you need to have an Xbox Live Gold membership to access Xbox Game Pass? No, you do not need to have an Xbox Live Gold membership to access Xbox Game Pass. As with all Xbox Live titles, you will need an Xbox Live Gold membership to play multiplayer in Xbox Game Pass titles. What games will be available on Xbox Game Pass when it launches? We’re working closely with top industry publishing partners to bring a robust list of titles at launch. We expect to have over 100 games from the most popular genres including action, adventure, shooters, puzzlers, strategy, RPG, and more with new titles added each month. Will Xbox Game Pass be available where I live at launch? Xbox Game Pass will be available in at least 27 Xbox markets at launch, quickly growing to as many new markets as catalog availability permits. Are games for Xbox Game Pass streamed directly or will they be downloaded to my Xbox One? Is there a limit to how many games I can download to my account at one time? No – so get your storage ready! Gamers love to play, which is why Xbox Game Pass gives you unlimited access to over 100 backward compatible Xbox 360 and Xbox One games while they are in the active catalog. There is no limit to the number of games you can download from Xbox Game Pass, other than the hard drive capacity, which you can manage or upgrade at Xbox.com. Once I download a game with Xbox Game Pass, do I own it? No, the Xbox Game Pass catalog will update with new games being added every month. You need an active Xbox Game Pass subscription to play games. If you love a game currently in the catalog and want to own it, you can buy it and instantly save 20 percent off the price of the base game with your Xbox Game Pass membership, plus get 10 percent off any related game add-ons and consumables while the game is still in the Xbox Game Pass catalog. What happens if my subscription expires or I cancel? If your subscription expires or is cancelled, any games downloaded through Xbox Game Pass will no longer be available. However, progress and achievements will remain attached to your account. All games that you have purchased from Xbox/Xbox Store will remain in your games library until you manually remove them. Will Xbox Game Pass be available on Xbox 360? Xbox Game Pass will only be available on Xbox One. While some Xbox 360 backwards compatible games will be included in Xbox Game Pass, those titles will not be available on the Xbox 360 console via your subscription. Last edited by Monkey Man on Thu Apr 18, 2019 9:14 am, edited 131 times in total. On an initial look... this seems pretty good. What with this and backward compatibility, MS really are firing some meaty shots nowdays. So this is MS version of EA Access? $9.99 a month though? Seems a bit pricey. Seems like it could be good but I feel like this should be a tier of Xbox Live above Gold (Platinum) and not a seperate subscription. I'm assuming the long term plan is to also bring it to PC at some point. That seems a bit dickish, but as I only really use my Xbone for the few exclusives I like plus GWG I doubt i'm the target audience for this. The fact they put Fable 3 in that headline graphic made me laugh. Moggy wrote: So this is MS version of EA Access? You're getting Xbox One games too, that sound pretty good to be honest. I can't see a great deal of Xbox One games being available as freely though. EA Access is $30 a year, includes Xbox One games and they don't cycle the games out. This will be $119.88 a year, will probably be mainly 360 games and they will cycle the games out each month (great if you're halfway through one!). It's not a terrible idea as such, but seems massively pricey for what it is and they ought to let you keep the game as long as you carry on subscribing. It'd be a lot better if they didn't remove games when adding new ones. Imagine how annoying it would be to have a game you're still playing taken away without notice. £9.99 per month is fairly steep too. Ironhide wrote: It'd be a lot better if they didn't remove games when adding new ones. Imagine how annoying it would be to have a game you're still playing taken away without notice. I'm guessing it'll be like Netflix and they'll put up a list of anything arriving and leaving the service each month. The UK price is £7.99 a month. I wonder if there will be improved pricing for, say, a six or twelve month sub? I prefer the idea of downloading a game to play rather than streaming it as with PS Now. For me, the price is still a litle high but they're getting there; certainly better than PS Now's £12.99. Bizarre that they will cycle games out, other than that I'd be on board! Seems a bit on the pricey side to me. I might be tempted to grab this on occasion, rinse a load of the quick and easy games and then cancel. If they put stuff like Inside on there, which I'd like to play but i know is three hours long and £16 then I'd be game. I like the concept, if not quite the implementation. Paying a monthly subscription fee & being able to play anything you want, including new releases, sounds like the inevitable future to me and a natural progression from PlayStation Plus/Xbox Gold. It's basically the videogames of Netflix. On the flipside, it does make everything feel more disposable. What we really want/need is an all encompassing pass that covers everything, otherwise we could end up subscribing to multiple services. KKLEIN wrote: I like the concept, if not quite the implementation. Notable omission is Ubisoft, Activision and Blizzard from Dev list but suppose they could be brought in. Always good to have more options. Probably something MS would like to have saved for an E3 announcement but with a packed conference and testing needed they had to announce it now. Probably not something I'll sign up for immediately but if a couple of games join it which I want to play but haven't bought then I'll sign up for at least a month. Shame there's no yearly sub or an EA Access type trial for new games but that can be introduced down the line. Hopefully we'll get plenty of notice when games leave the service. Photek wrote: Notable omission is Ubisoft, Activision and Blizzard from Dev list but suppose they could be brought in. I would suspect that if those companies wanted to play the subscription game, they'd simply do it themselves. I expect Activision will find a way to banana split it up, a 'Call Of Duty Club Pass' for £20 a month only available if you buy the Ultimate Super Deluxe Prestige Edition of Call Of Duty Ludicrous Warfare. No doubt this will be a good option for some people but for me seeing as the games available on there seem to be quite old ones it makes more sense to me to use the £95.88 (yearly cost) to buy the games I want outright when they are on sale. Ste wrote: No doubt this will be a good option for some people but for me seeing as the games available on there seem to be quite old ones it makes more sense to me to use the £95.88 (yearly cost) to buy the games I want outright when they are on sale. Also, I'm wondering if this will undermine Games with Gold, that said, a few games on gwg were in the EA vault also.